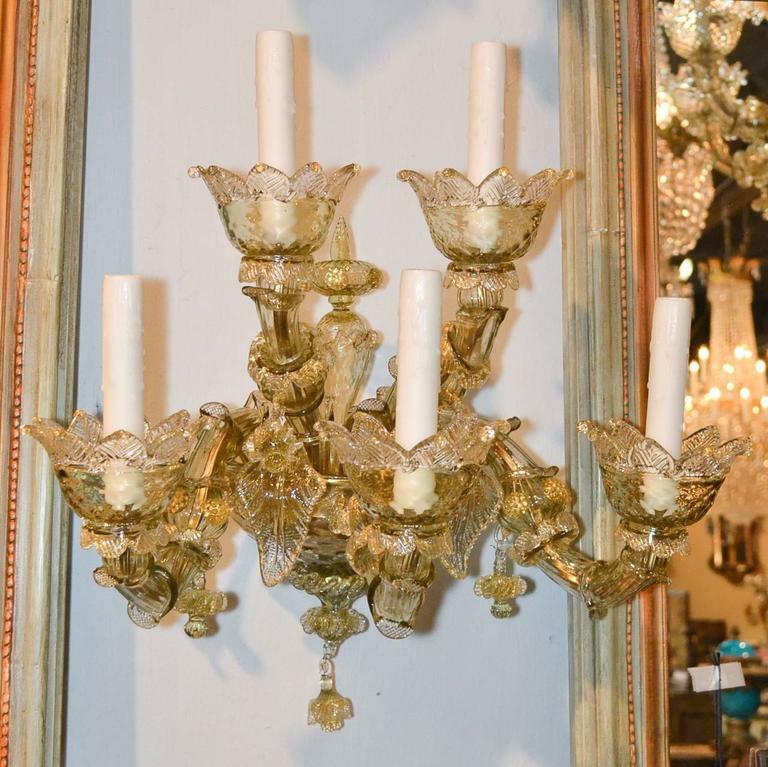 Exquisite pair of Venetian blown glass five-light sconces. 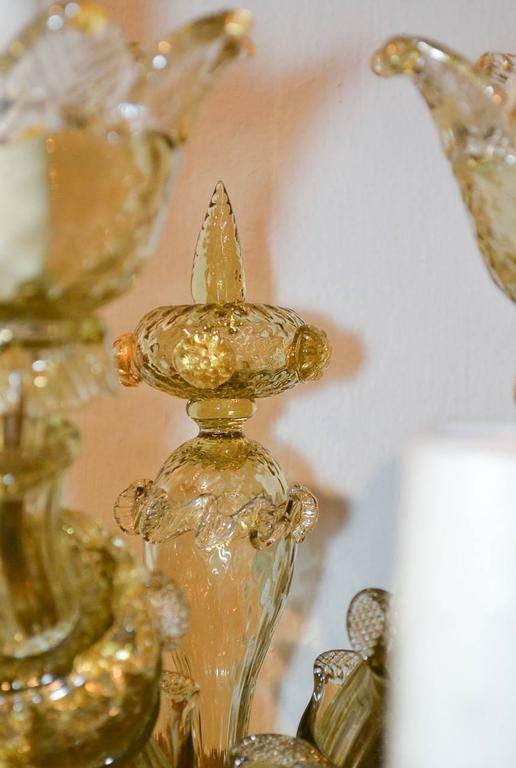 Having detailed glass with gold accents, gracefully curved arms terminating in floral inspired candle cups, and lovely glass leaves and finial. 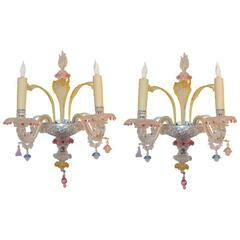 Superb pair of multicolored Murano glass pair of two-light sconces, Italy, circa 1920. 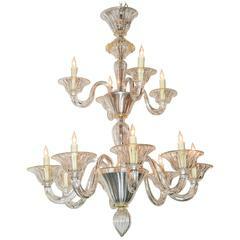 Gorgeous twelve-light Venetian blown glass chandelier. 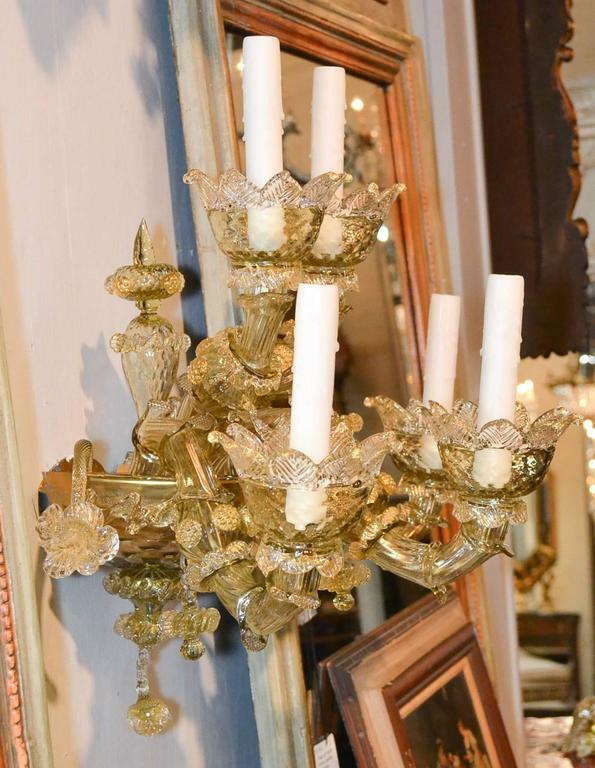 Having two tiers of lights with gracefully curved arms and lovely gold accents on rims of bobches and on column. 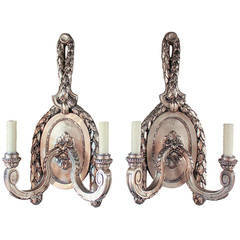 Sensational pair of heavy French silvered bronze 2-light sconces. Having scroll arms and heavy swag adornment. 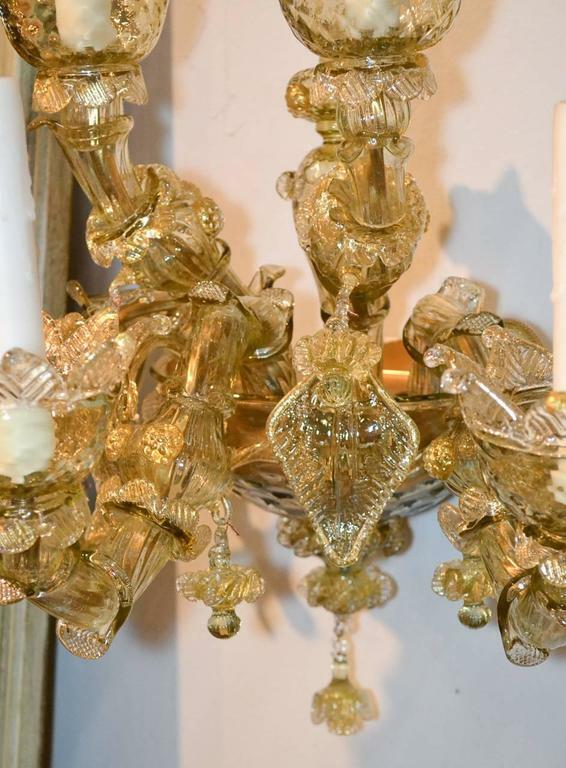 Wonderful for numerous designs! 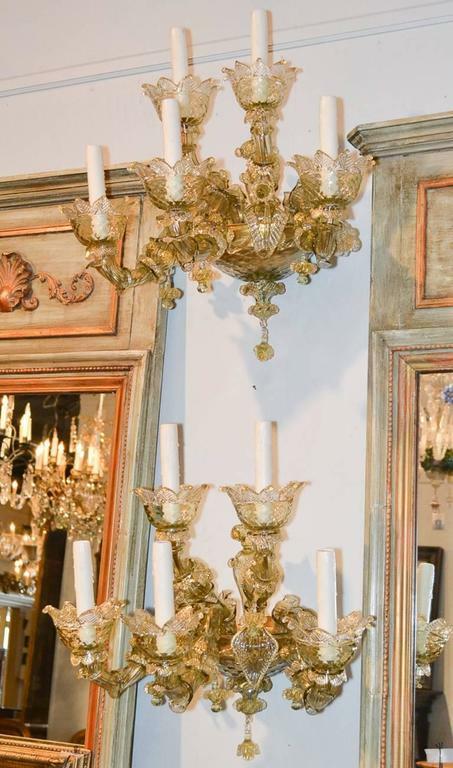 Gorgeous, impressively large pair of Italian beaded crystal sconces. 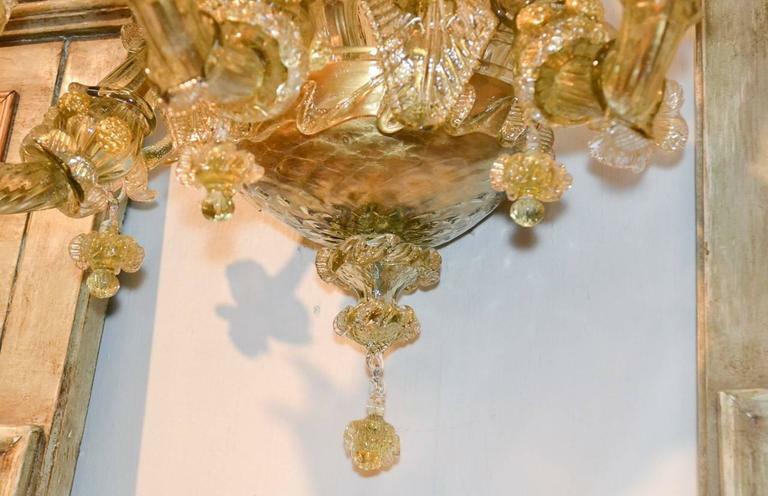 Having 8-lights on each sconce, cut crystal bobeches and drop prisms, and tear drop prisms. 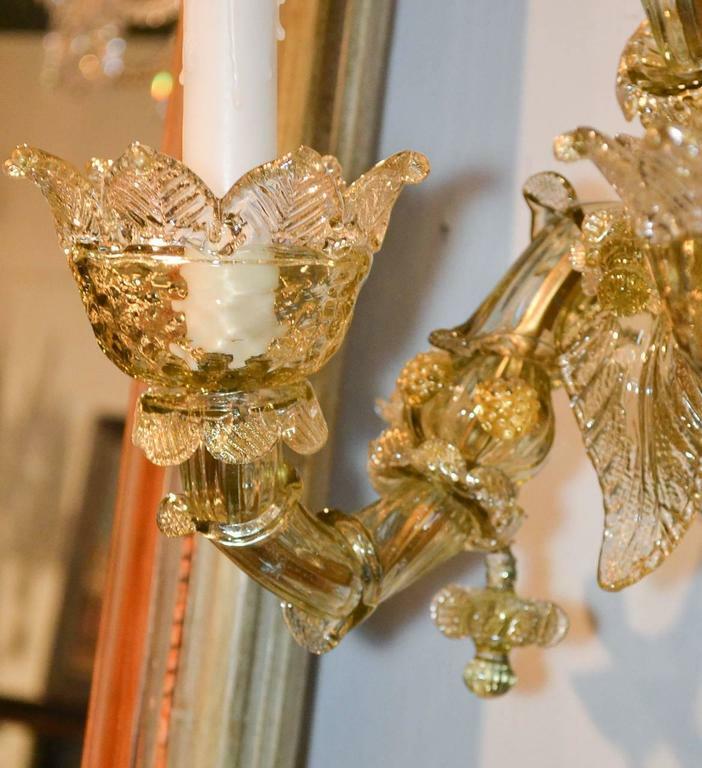 Pair of chrome and blown glass wall sconces. 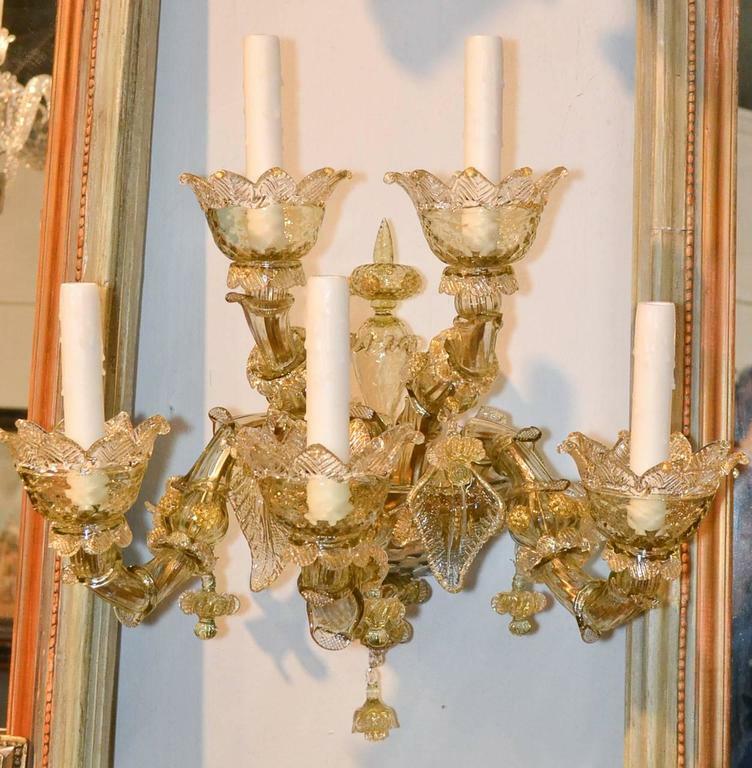 Pair of circa 1950s Venetian mirrored back sconces, copper colored mirror frame. 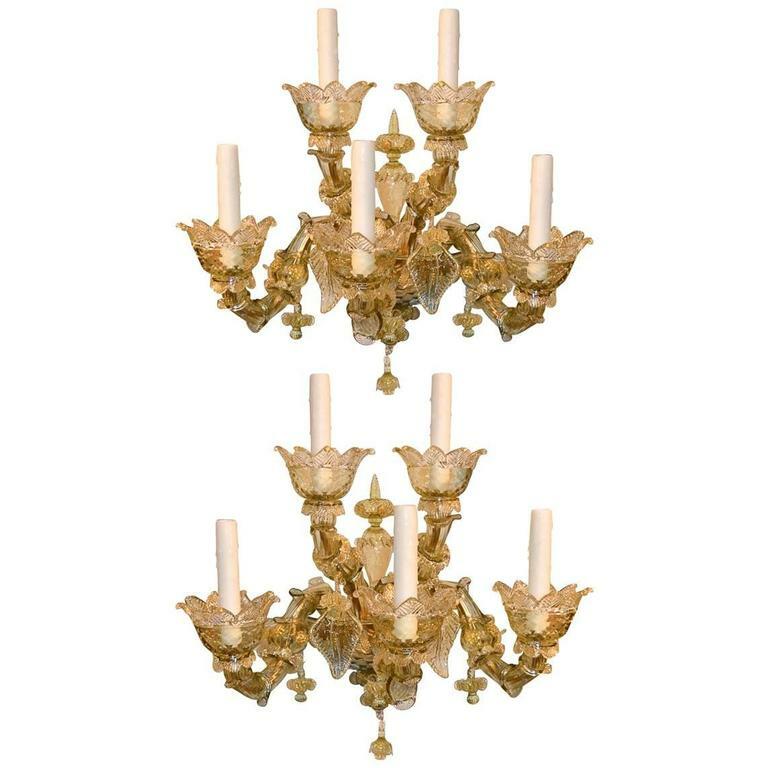 Measurements: Height 15.5" Width 7" Depth 5.5". 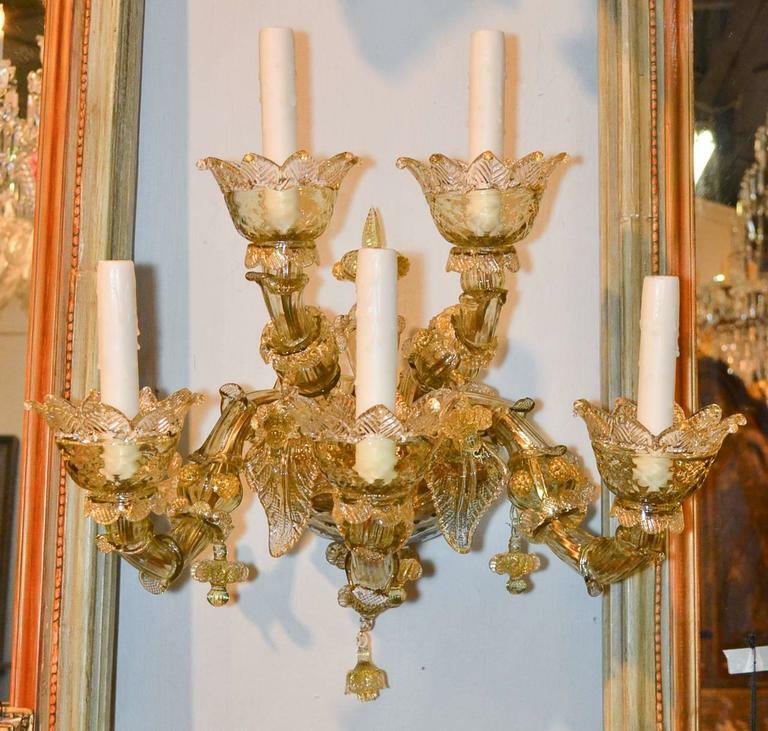 Pair of Italian 1940s Venetian Murano "Rugiada" clear and internal bubble design textured glass sconces with a fluted fan shape and an applied gold dusted glass scroll on front. 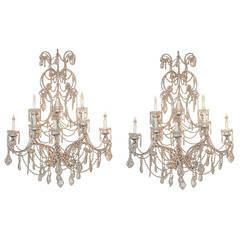 Pair of Venetian Mirrored Wall Sconces , Each one with distressed engraved floral mirror backs, fitted with two lights.